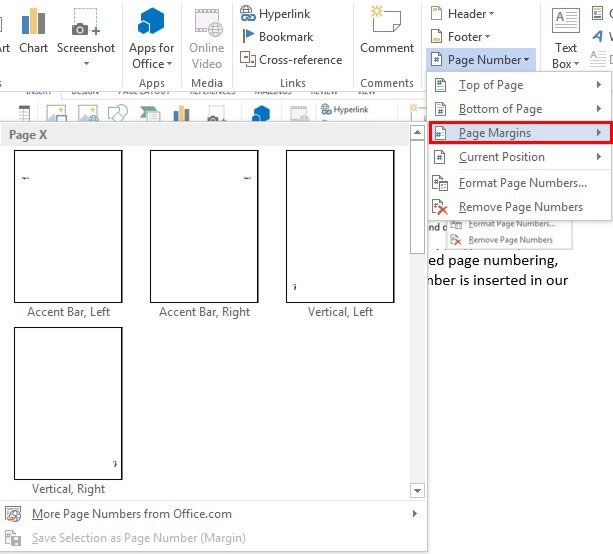 The page number of the current page is inserted at the cursor. 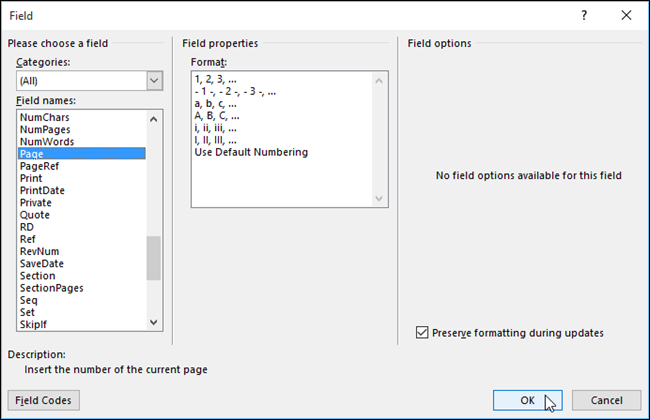 After the page number, type a space, then �of�, then another space. After the page number, type a space, then �of�, then another space.... It simply tells Word to display the number of the current page at the field location. As noted above, the page's number is dependent on: As noted above, the page's number is dependent on: The � start at � value assigned to the document section.